as lonely as dave bowman by pod - recommended at roach's website, this is a fairly cool atmospheric disc. A really great performance from Stars Of The Lid recorded from a short distance from front of the stage on a MiniDisc Player. Sound quality very decent only when the band play quiet you can hear people talking in the pub next door. Enjoy. Pretty good quality considering the unpromising-sounding recording device. This was recorded on their recent UK tour; I saw their gig at Redland Park Church in Bristol, where they played an identical set, complete with a string quartet. Two tracks from "Tired Sounds of..." and two from "And Their Refinement of The Decline". The Circular Ruins- Falling Into The Sky; I initially thought this was excellent, but amazingly it gets even better with repeated listens. Essential! Coleclough/Potter- Low Ground; Intense and sinister drones. That's great about the new Circular Ruins, Joe. Merri, I can't listen to the new Sigur Ros enough. That said, I've spent the day listening to Stars of the Lid's 'And Their Refinement of the Decline'. Great music while it snows outside. I watched/listened to a large chunk of the live disc from the Heima DVD earlier today. and a wonderful variety of locations for each piece. Oh yeah, thanks a lot. Finally a SotL Bootleg in my Collection. and a wonderful sounding one too. Cheers for this. V/A - Beirut Cafe Vol.2 - Don't have volume one for some odd reason, but two serves just fine. Good ambient, electronic, lounge-ish material here. Perfect for a, uh, cafe, actually. The vocal tracks balance well with the pure electronica interspersed within, and if Beirut were as laid back as this album, send me there. Blank and Jones - Relax Edition Two - More chillative work, but not as solid as the aforementioned Beirut Cafe. However, the tracks featuring Mike Francis are exceptional, and they make this disc worth having. 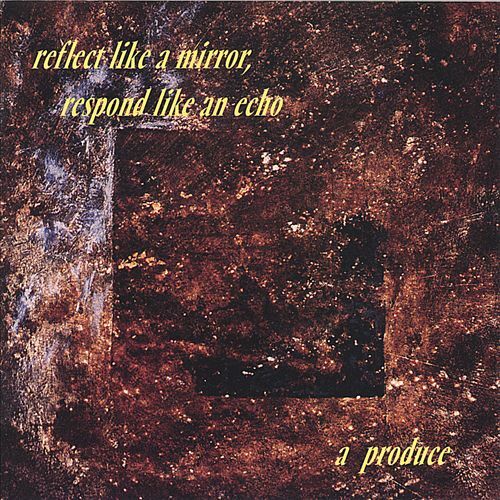 Steve Roach - Immersion: Two - Good night. Literally. Saul Stokes - Fields - Can't say why, but this is an eerily organic album with that quintessential element that grows on you. Can't explain it; all I can do is listen and enjoy. Oöphoi - Dreams 3 - No too much to be said here, save for the fact that I fell asleep blissfully to this one. The tonal shifting in the first track is a treat for sure. Jah Wobble and Bill Laswell - Live at the Knitting Factory This could have been one of their better collabs if it were not for the shifty, random execution of it all. But it's live, improvised, and it does bring key elements of Laswell's and Wobble's work together. That's always fun to hear. Vir Unis - The Drift Inside This is his finest work. Never heard anything of his approach the magnitude of this tour de force. Daft Punk - Earthbound Before Daft Punk became, well, "Daft Punky." Straightforward, yet solid trance on this venture. Alio Die - Incantamento Goodness almighty. This album is almost unnecessarily good. Serene, natural, beautiful. Mylo - Destroy Rock & Roll One of the most innovative, quirky, and rocking electronic albums out there. "Drop the Pressure" alone is worth the album. Bonus for Mylo being a Mac user. Jah Wobble - Umbra Sumus Although I like his heavier bassic exploits, this world music groove outing is bouncy enough, bassy enough, and worth a passive listen. Aril Brikha - Ex Machina Thank the Lord for Sweden. Brikha seems to have mastered the ambient minimal techno thing, and his sophomore effort showcases it. Had to listen twice; it was soothing, engaging, and replete with flair. Highly recommended. Kerri Chandler - Essential Mix 9/23/06 Essential Mix. What more can I add? I give it a 7/10. Ashera - Enviro Gorgeous. Simply gorgeous. Everything Ashera produced is essential. This album slides in right behind Cobalt 144, but the vocals on this one are beyond heavenly, among the best he's done. Saul Stokes's Fields is in regular rotation for me, and I have trouble saying why I like it as well. It's a great album. Recently picked up Wobble's collaboration with Bill Laswell (Radioaxiom - A Dub Transmission). I think it's up there with each of their bests. A few Richter related releases are available stateside through Wayside Music, though I ordered the above directly from the Czech Republic, through Blackpoint Music. Downloaded a bunch of Robert Fripp shows from 2006 from his site and have been listening to them all day: Feb. 25, 2006 (Atlanta), March 4, 2006 (St. Louis) , June 14, 2006 (UK), August 28, 2006 (Estonia), and November 28 and 29, 2006 (Tokyo). It's a space-rock marathon today; working from home has its perks! Pressurehed, "Explaining the Unexplained" - crazy jams and samples, all with a 'paranormal' theme. Funny, and pretty damn good too. Helios Creed, "Planet X" and "Cosmic Assault" - I had forgotten how good these are; heavily warped vocals, super-distorted wah-guitar; very niiice. V/A, "Space Box: 1970 and Beyond" - Three full CD's of space rock, with Hawkwind, Cluster, Kraftwelt, Faust, Popul Vuh, and much much more. Very good mix, all ove rthe map stylistically, but all good. Recommended. I’ve enthused about this one before, but on the old forum - that’s my excuse to blather about it again This is a great disc that seamlessly fuses the more modern sounds of post-techno Berlin (BC/CR division) with the Kosmische electronic of the 70s ‘Kraut’ scene, while retaining signature elements of Master of Swedish Dark Arts, Peter Andersson (aka Raison D'Etre, Necrophorus, et al.). A truly er.... cosmic atmosphere pervades, but one that’s energised rather than torpid, somehow managing to achieve a subtle rhythmic kinesis without ever resorting to explicit beats [cf. a kind of (un)holy Trance, with no cheese]. Beatless pulse’n’atmo! Comes in a digifile with a slightly opaque tracing paper film over the sleeve. Nice. Listening to the lovely subtle dub techno sounds of the Basic Channel - CD this morning. It never gets old to me. Yes, there's a special edition version of this one now, but I pulled out this old copy of the original issue to check out the packaging (an interesting letterpress folder on heavy paper board) and ended up listening to it. Still one of my favorite A Produce recordings, it has a dark, spooky and sort of tribal feel. Includes contributions from Chas Smith, who was recently discussed here on the Forum in a case of mistaken identity... "Chas Smith R.I.P." some of you may remember. A more recent A Produce solo album, in fact, now that I think about it, this is the latest A Produce album of new recordings other than Smile on the Void (which was on Hypnos). This one is even more polished than 1000 Trances and includes some of the best piano work Ruben Garcia has ever done, as well as contributions from Pierre Lambow, Scott Fraser, and more Chas Smith. The album opens with a short edited version of "A Smooth Surface," the full-length of which was released on its own EP and which was my own introduction to A Produce's music. 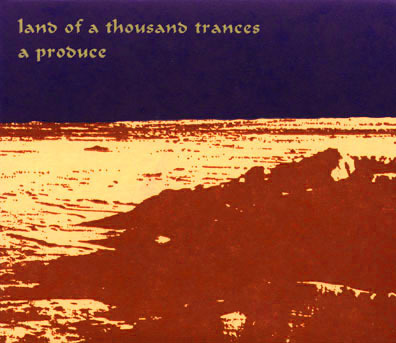 Man, I LOVE Land of a Thousand Trances! It's such a great mixture of driving rhythmic tribal and eerie textural ambient. I still have my copy from when I bought it at Dark Star in Milwaukee way back in the early '90s (damn, that was a good store for music). And I agree that the packaging was also cool. I'm surprised my cardboard sleeve has stood up as well considering how often I played the CD. Currently listening to a mix cd from Phonaut He was a dj at Northwestern's WNUR radio station in Evanston (north Chicago) - Jimmy Johnson and Vir Unis played about 4 or 5 live shows there (I joined them for one - loved it!) - and many of their "live transmissions" discs originate from those shows.